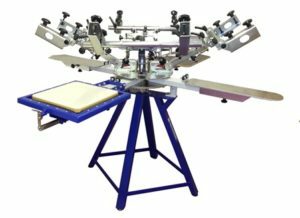 We offer the widest range of equipment in the industry with equipment suitable for printers new to screen printing, education establishments and established small, middle or large screen printers. Many products are available online for purchase from our online store, Wicked Printing Stuff (WPS). We manufacture our own range of carousels, accessories, flash dryers and tunnel dryers which are available for onward distribution. The WPS Automatic Screen Washing and Reclaiming System helps answer those questions. We have a range of systems for automatic cleaning and reclaiming to suit the most demanding screen throughput. Coupled with the unique SISS Autoclean products we can come up with a solution giving you the lowest screen cleaning and reclaiming costs in the industry. Need a carousel, press or just a set of clamps? Tabletop carousels – are designed and built by us in the UK, high quality, compact, versatile, proven and ideal for space constrained areas. 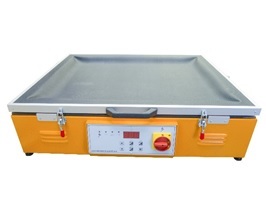 Comes with features such as micro registration which is normally only seen in more expensive equipment. 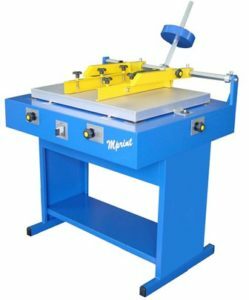 Multi Station Manual and Semi Automatic carousels – We manufacture own range of cost effective carousels and we are also the UK dealer for the WEISS range of carousels and presses. The quality of engineering is simply breath taking, the Weiss range is best in class, designed and built to last. Improved detail Better detail can be achieved than with film based exposures. We sell the market leading SPYDER system from Exile Technologies and the amazing new FREEstyler DTS system including the integrated FREEstyler unit which includes stand and LED exposure unit. 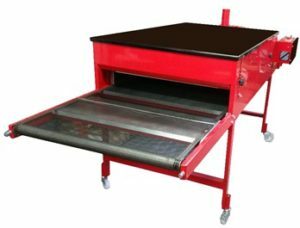 We sell standalone drying cabinets which are used for drying screen post washout and for drying emulsion. We can supply any size or format so please contact us for more information. 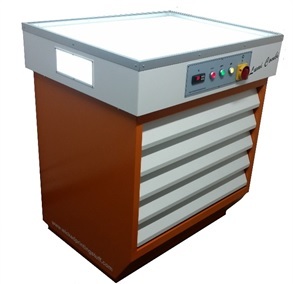 If you are space constrained looking for an exposure unit with built in drying cabinet then we can supply these with metal halide, actinic and LED formats. Options are also available for Drying Cabinets with integrated light boxes. 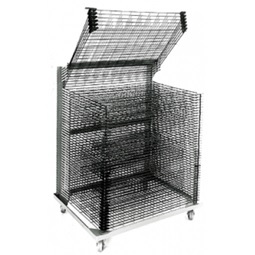 WPS Heavy Duty drying racks are your solution – manufactured in the UK to the highest build quality. Ideal for Screen Printing Workshops, Studios and educational establishments with large volumes of screens to process. Which exposure unit is the right one for you? Then check out our blog article. 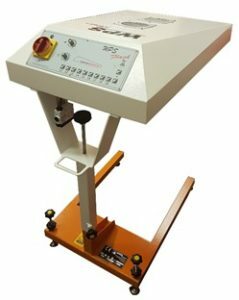 WPS sell a huge range of exposure units to suit all screen printers from beginners to large businesses. 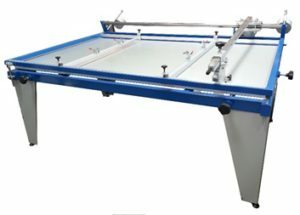 From the WPS entry level screen printing exposure lamp through to a range of “all in one” enclosed exposure units, ideal for mid and large screen printing shops that require exposing large numbers of screens in a short time frame. 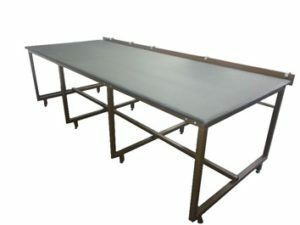 Looking for a large table for printing fabrics? We can supply high quality fabric tables with length from 1 metre onwards with register rail, please note these tables are made to order in the UK. Ideal for educational and professional fabric printers. Are you printing multi colours and need to dry between colours? Do you have a low volume of garments to cure? High quality hand benches – light and easy to use and fitted with an aluminium suction base with a strong vacuum. Adjustable side arms fitted with toggle clamps allow any size frame to be fitted up to the maximum frame size of the master frame. A light and easy to handle one arm with shackle with counter balance makes light work of printing. We sell the EXILE Technologies Liberator line of thermal imagesetters in two different series. These are high end precision image setting equipment. To see if this equipment meets your requirements please contact us on 0161 442 6555 as we have solutions to meet every budget. The Liberator XE models are EXILE’s top of the line system, printing at a true 1200 x 1200 dpi resolution. This system is perfect for the printer that requires small font sizes, and high line screen frequencies. The Liberator Gmax models offer printing resolutions of up to 600 x 1200 dpi. This is an excellent choice for printers using low line screens and general line art. Both series come in the following sizes; 18.25″, 28.5″, 36″, 42″, and 54″. The Liberator systems are roll fed (capstan) devices, so film can be output at nearly unlimited length. The Liberator imagesetters are driven by a Harlequin RIP that provides exeptional processing speed and reliability. This full featured RIP includes automatic media saving capabilities, precision halftone and stochastic screening, as well as a full raster preview. The RIP can be customized with trapping, proofing and specialized screening to fit your requirements. We sell both the equipment and the consumables. The Blacquer Ink is a unique product developed to help you create fantastic high quality film positives at an amazing price. Blacquer has been developed to produce the most dense black film positives on the market, increasing the quality of your screens in production. You don’t need specialist RIP software, just the standard RIP that comes with the printer. 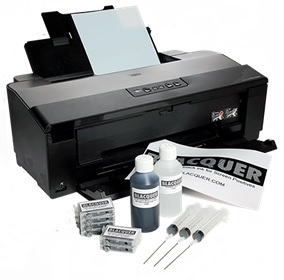 Blacquer Ink is designed to use the Epson Printer Range, initally focussing on the 1500W with more models becoming available. We have worked closely with Blacquer to get the ink just right, we use the system ourselves and are totally impressed with the results. Blacquer Ink is available as refillable cartridges or in bulk, we also stock Blacquer film or get the complete bundle including the Epson printer! WPS Panther 700 – the most highly efficient small dryer in the market and the most popular dryer in UK, suitable for curing up to 500 garments per hour (plastisol ink). Available in either Single Phase or Three Phase power options. Ideal for manual printers. WPS Panther 700L – longer drying oven idea for Screen Printers and Digital Printers (used with Annajet, Viper, Brother, Resolute DTG printers, Epson DTG, Texjet and inks) needed to cure high volumes of garments, available for Three Phase Power. Ideal for manual / semi automatic and DTG printers. WPS Panther 8000 series longer drying ovens and options for wide belt sizes (up to 1.6m) ideal for industrial scale screen printers. 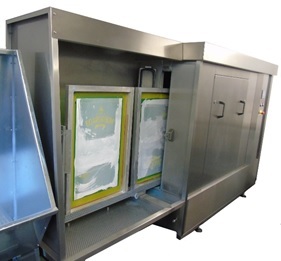 WPS offers a range of Washout Booths to suit your needs. A high quality well designed booth is key in the proper cleaning and preparation of screens. Inks and emulsion can be power washed off the screen and into the sink to help other areas of your shop remain clean. We sell WPS Essential Backlit Washout Booths and the WPS Premium High Quality Stainless Steel Units with perspex diffuser panel, lights and isolator. These booths are used for developing stencils. 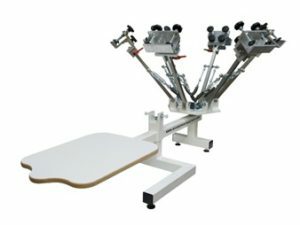 Large Screen Printing Shops – With the ever increasing demands from water authorities to reduce contaminates in wastewater, especially effecting large screen printing shops. 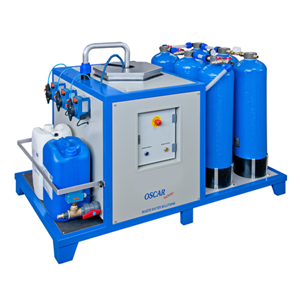 We are offering the WPS Oscar 4000 Wastewater Cleaning System. Uses an active carbon filter solution to remove all hazardous chemicals from the water. Small, Mid and Educational customers We sell the unique WPS Essential Treatment System which can be plumbed into existing booths. Different sized units are available based on typically screen production rates.